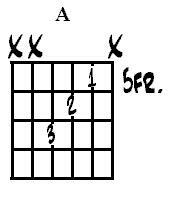 Note - they are all either straight or diagonal chord shapes. 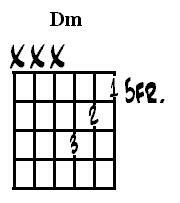 When using diagonal chord shapes make sure your whole picking hand follows the movement of the strum to keep your palm 12 frets above the note being played. 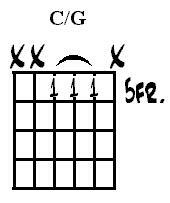 Hold the Dmin chord displayed in the table above. Hold the plectrum whilst using your palm to lightly touch the 19th fret of the 3rd string. 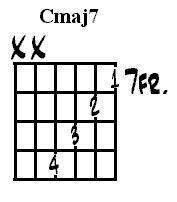 Strum in a diagonal line that exactly mimics the chord shape. 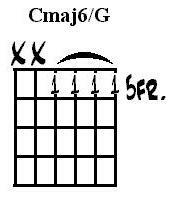 Make sure that the palm stays 12 frets above each fretted note (frets 19, 18 and 17) and maintain a light contact between your palm and the strings. 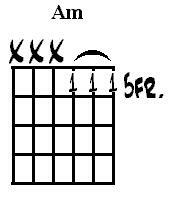 Tip - frets can also help guide the motion of the pick as you strum.